Maria Rundell was the original domestic goddess, an elderly widow whose best-selling book on cookery, medicinal remedies, and household management defined the perfect home. She taught her readers how to cook a goose, brew beer, make ink, and cure baldness. 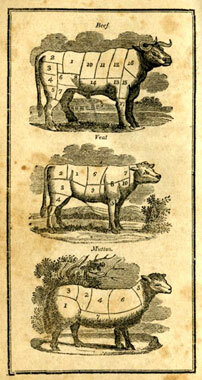 A New System of Domestic Cookery was a publishing sensation in the early 1800s. It sold half a million copies and conquered America. Its profits helped found one of the Victorian era's most influential publishing empires, one which boasted Lord Byron, Charles Darwin, Sir Walter Scott, Jane Austen, Benjamin Disraeli, and Arthur Conan Doyle amongst its authors. Yet the most famous cookery book of its time - and its author - disappeared into obscurity. In 2007, nearly 180 years after her death, her rehabilitation began when the National Library of Scotland in Edinburgh opened to the public a new exhibition which contained one of the most significant single collection of papers on nineteenth century literature. The John Murray Archive, compiled by the seven generations of Murrays who ran the family-owned publishers, had recently been purchased by the library for £31 million (45 million euros), chiefly with lottery money. It included 150,000 pages of letters, manuscripts, and documents from some of the most significant thinkers, scientists, and writers of modern history. Scholars have largely ignored Mrs Rundell, a friend of the Murrays and the widow of a surgeon from Bath, and have overlooked her remarkable role in the company's success - a success soured by a bitter feud. In 1805, aged sixty-one, she had sent the second John Murray, the son of the Scottish printer who set up a small publishers in London in 1768, an unedited collection of recipes, remedies, and advice on running a home. She had originally compiled it for her seven daughters, and she offered it to Murray free of charge. Murray recognised its potential. 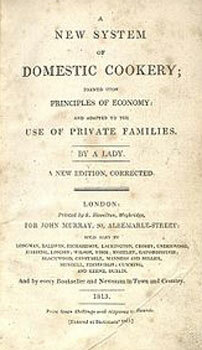 It was some sixty years since the first English cookery book had been written by Hannah Glasse, and Mrs Rundell's New System of Domestic Cookery, 'formed upon principles of economy and adapted to the use of private families by a lady', was about to become the bible for Britain's nineteenth century bourgeoisie. The Oxford Dictionary of National Biography describes it as 'the earliest manual of household management with any pretensions to completeness, it called forth many imitations'. Stored in a double-locked 'cage' in the library's vault, his firm's 'subscriptions book' for 21 November 1805 reveals advance sales of 310 copies. In July 1807 booksellers placed advance orders for 1,150 copies for the next edition. By 1841 it had run to sixty-five British editions, selling 10,000 copies a year. It was snapped up in Britain's late colony, America, where it was retitled American Domestic Cookery and the Experienced American Housekeeper, and there ran to thirty-seven editions. It was also translated into German. It sold more than 245,000 copies in the UK, remaining in print until the 1880s. Its profits enabled Murray to buy one of the most famous addresses in literature - 50 Albemarle Street, Mayfair. Doubling up as the publisher's offices and home, Albemarle Street's drawing room became the location for some of the most influential gatherings in nineteenth century English literature, and the scene of a remarkable act of censorship. Murray's guests would include Isaac Disraeli, father of the future prime minister, George Canning, a foreign secretary and briefly prime minister, Sir Walter Scott, and Lord Byron. The poet was one of Murray's biggest signings. The archive holds 10,000 Byron papers but in May 1824, a month after the poet's death, Murray's innermost circle decided to destroy one of the most valuable of all: Byron's memoirs. After a long debate they burnt them to preserve the poet's reputation, and those of his lovers. The archive reveals that Mrs Rundell and her publisher soon fell out. In 1807 the author wrote angry letters about errors in the new edition. She said: 'I am hourly struggling against my feelings, but they are grievously wounded'. It had been 'miserably prepared'. Corrected editions soon appeared, but by 1814 their relationship had collapsed. Convinced Murray was neglecting her book, she offered a revised version to a rival, Longmans. They issued injunctions against each other. Mrs Rundell prevented Murray from republishing the book after his rights expired. Murray blocked her rival version, rightly claiming he had improved and 'embellished' the book. Their battle ended in 1821, when the lord chancellor cancelled both injunctions and asked them to settle privately. In February 1823 a legal agreement records that Murray paid her 'the sum of two thousand and one hundred pounds of good and lawful money'. 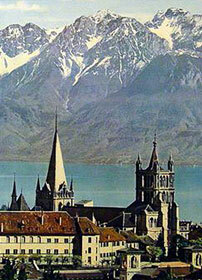 Later, Mrs Rundell moved to Lausanne, Switzerland, where she died in 1828, aged eighty-three. It was only then that her authorship was revealed. A pioneering female explorer, Bird travelled extensively in the Far East, Australia, and North America in the late 1800s. In Colorado she met a handsome one-eyed outlaw, 'Mountain Jim' Nugent, sparking speculation about an affair. The John Murray archive holds her letters, manuscripts and scores of photographs. Bird was the first woman to join the Royal Geographic Society. 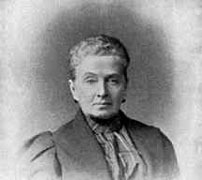 Dubbed the 'Queen of Science', Somerville was one of the nineteenth century's most influential popular science writers. Despite little formal education, she learned algebra and Euclid in secret, later studying mathematics and astronomy. Scientists recommended that Murray publish her. She became one of the first women members of the Royal Astronomical Society in 1835, and Somerville college, Oxford, is named after her. After separating from her violent husband, Tory MP George Norton, she became an early champion of a mother's rights to see her children after being refused access to their three sons. A poet and short story writer, John Murray published her anonymous poem, Voice in a Factory, exposing the exploitation of children. Her campaigning and writing contributed to the Infant Custody Act 1839, and the Married Woman's Property and Divorce Act 1857. Text copyright © Mathaba News and contributors, which contains copyrighted material the use of which has not always been specifically authorised by the copyright owner, but which is made available for reproduction on a 'fair dealing' basis.